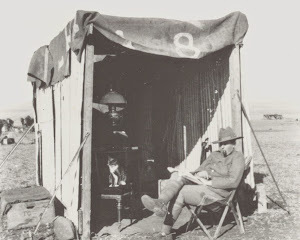 I have been researching the Second Anglo-Boer War 1899-1902 since 1984, when I was a student studying African History at the University of Sussex. Although, my first brush with warfare in southern Africa was, like so many others, with Washing of the Spears and those films about the 1879 Anglo-Zulu War! You can read more about The Register on the website itself - especially the best casualty list ever produced.